Earlier this year, Mark Hamill worried that there might be just a few too many Star Wars movies in development, a concern that Disney eventually came to share. Hamill, however, might still have been bummed to hear that James Mangold’s Boba Fett movie was one of the casualties. Why? Because that may have been Hamill’s last shot at getting someone to bring his own vision for the character to life. Hamill revealed on Twitter this weekend that he once pitched George Lucas on the plot twist that Boba Fett was not the ruthless bounty hunter we thought, but actually a disguise adopted by Luke Skywalker’s true mother. The reveal was prompted by an inquiry from Tatooine Suns: A Star Wars podcast, who, in discussing the fan theory, found one of their hosts attributing it to Hamill. That host might have been recalling a 2004 interview with CHUD, when Hamill (presumably) first shared the news publicly. While Lucas never capitalized on Hamill’s idea, he did almost give Fett a family connection to the Skywalkers while in the prequels. As revealed in Skywalking: The Life And Films Of George Lucas, the creator considered making Anakin Skywalker and Fett stepbrothers, but eventually scrapped the idea. 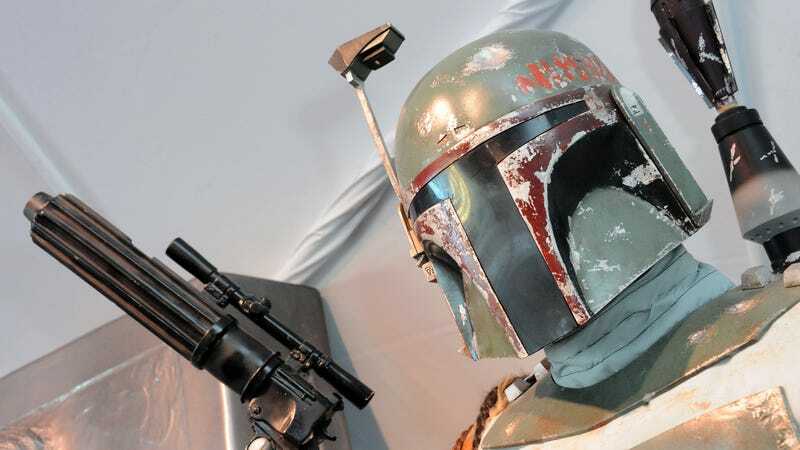 Thankfully, the bounty hunter lives on in the Star Wars Legends expanded universe, and one can imagine his presence will no doubt be honored, if not directly referenced on Jon Favreau’s upcoming The Mandalorian.